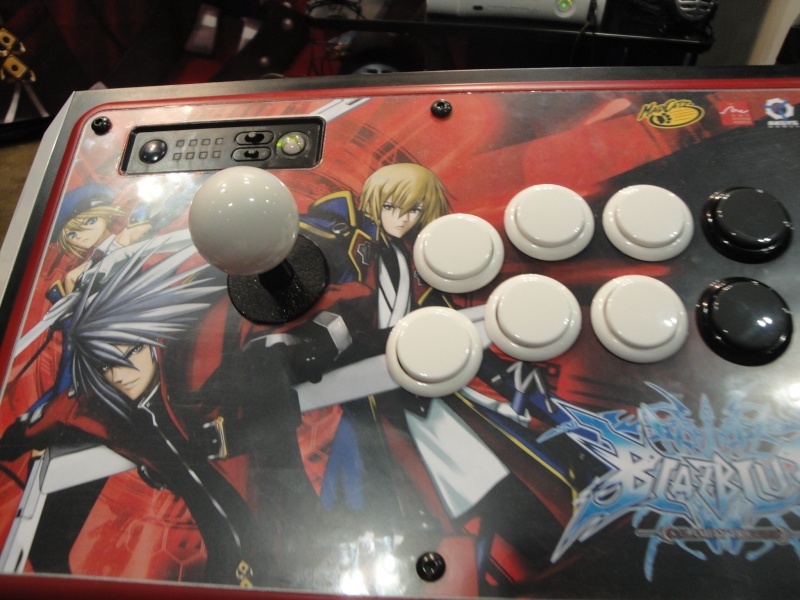 Well I wish I had the Arcade Sticks for Blazblue Especially this one. These Are Prototype MadCat Arcade Sticks its Almost like the Street Fighter 4 Tournament Edition Sticks T-T uhhhhh wanna but it but they havent come out yet. 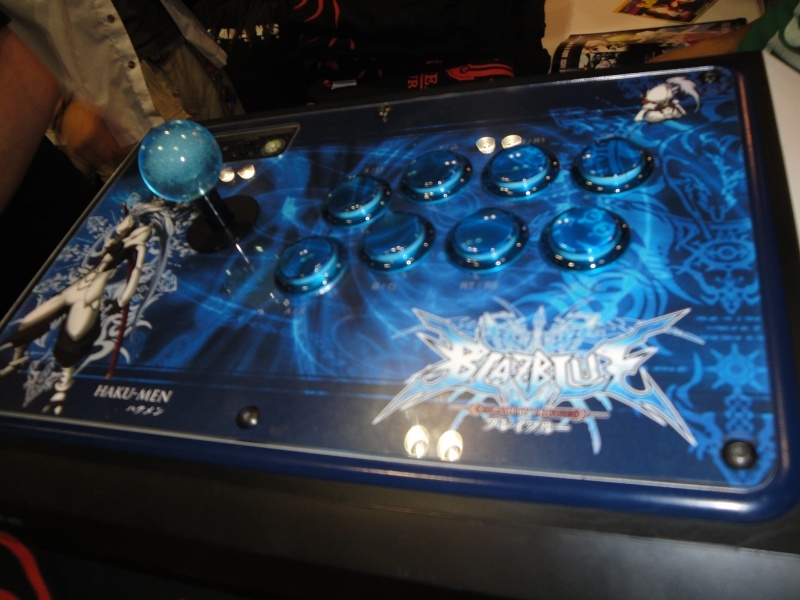 Wish I had this one too but it was the Street Fighter 4 one except they change the Front cover to Blazblue. well its just a prototype hasnt been released yet but there like the Street Fighter 4 Tournament Edition Sticks so the guy said it would cost $150. Me too but it felt so smooth and it felt good to play with sticks for a change I got used to it after palying 6 people on Blazblue. When I get enough money I will buy them but have to wait till they get released since the one on the top the first one is a Prototype the second someone actually brought his custom Street Fighter 4 Tournament Edition sticks. I just cant stand playing with so many buttons when the game only 4 and the d-pad. plus i sometimes feel like standing up when playing a game. it might have a lot of buttons but this feels easier to use than the Controller but For King Of Fighters controller but will need Sticks since I wanna beat people at arcades even in KOF thats why need Sticks.